I’m not overly familiar with Hoban’s writings, but I do know a couple of his works rather well. I love, love, love the Frances books he wrote with Lillian. 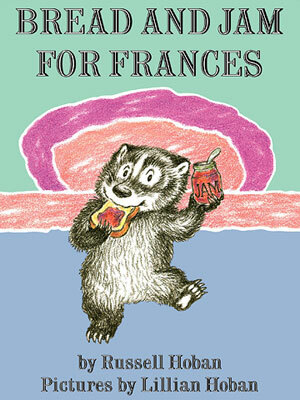 If you want to know what I was like as a child (and I know you all do), then look to Frances. Like Frances, I made up songs when I was a child; like Frances, I had a pesky younger sibling; like Frances, I sometimes had a really hard time doing the right thing; and like Frances, I usually survived my adventures fairly unscathed. The Mouse and His Child was one of my favorite movies as a kid. I unfortunately never read the book until I was an adult. * I came across a copy at the Printer’s Row Book Fair a couple of years ago, and recognized the movie on the cover. I enjoyed reading it, but I felt a bit of a pang of regret that I hadn’t discovered it as a child. I’d love to read it aloud for some grade-schoolers at my library, though; I think that would be tremendous fun. Finally, I JUST NOW learned that Tana Hoban and Russell Hoban are brother and sister. Tana Hoban sadly passed away in 2006, while Russell is still with us and still writing (and on Facebook). Tana Hoban’s photographs may look dated to some, but I find them timeless. 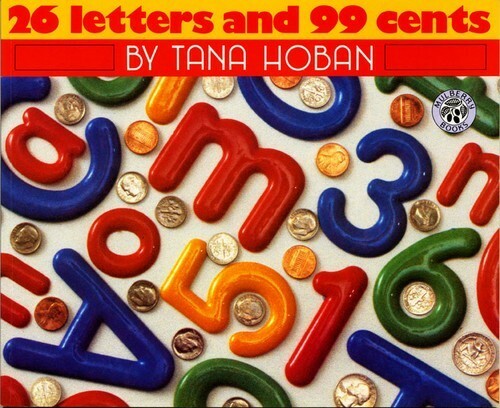 26 Letters and 99 cents is one of the most awesome concept books ever, and her black and white board books are still perfect first books for young babies. Also, if you’re ever feeling blue, get a copy of Hoban’s Is it Red? Is it Yellow? Is it Blue? and find the spread with box girl. If that doesn’t lift your spirits, or at least distract you from your woes, then nothing can help you. No, I will not explain that statement any further; if you want to know the joy of box girl, you have to earn it. *I essentially went right from The Monster at the End of this Book and No Flying in the House to my mother’s Stephen King collection. wherein I answer 2 of Barry’s 5 questions. “Riddley Walker” is fantastic. It knocks “The Hunger Games” into a cocked hat. And I say that as someone who fairly enjoyed “The Hunger Games.” Some find “Riddley” hard going because Hoban uses a debased future dialect for the main character’s voice, kind of like “A Clockwork Orange.” But that’s what makes it thrilling. It feels truly alien and from another time, whereas “Hunger Games” is written more or less in standard YA voice. I just put The Mouse and His Child on my Amazon wishlist earlier today. It was one of my favorite books when I was a kid (only caught a little of the movie, but read the hell out of the book) and I found myself thinking about it today and wishing I still had it. What great synchronicity to then stumble on your blog post! I looked at your site briefly and squealed when I saw you worked on JoCo library stuff. I ADORE their 6 by 6 work. My 2 year old nephew is served by JoCo libraries, so I am extra pleased that they are doing a good job (in my opinion). So very glad you stumbled upon my blog!! I’m actually the webbie that just took over the 6 by 6 web pages at the Library. (Which is how I found your blog post, through our 6 by 6 Twitter stream, which I also handle.) I’m so glad you like what we’re doing! Thanks!